I have been doing some VERY PHILANTHROPIC AND GENEROUS AND MAGNANIMOUS sewing of late. Yes, that’s right, saint that I am, I took a pause from sewing pretty/comfy/weird things for me and sewed things for boys. Three different boys in fact. 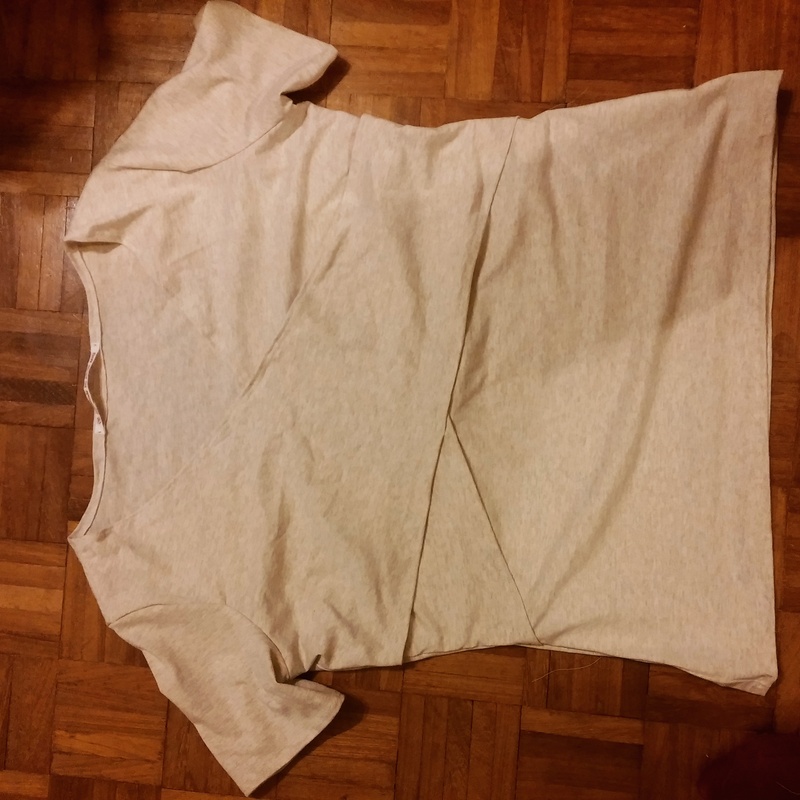 I shall write about the thing I made for a husband-shaped boy in a future post. 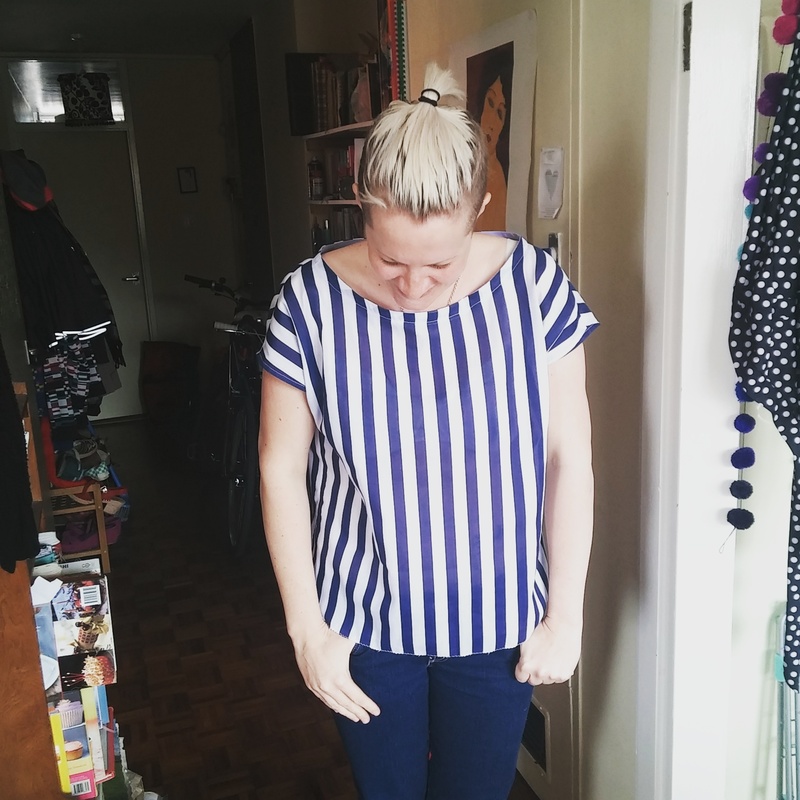 Today’s post is about things I made for small-shaped boys. I made dungarees. 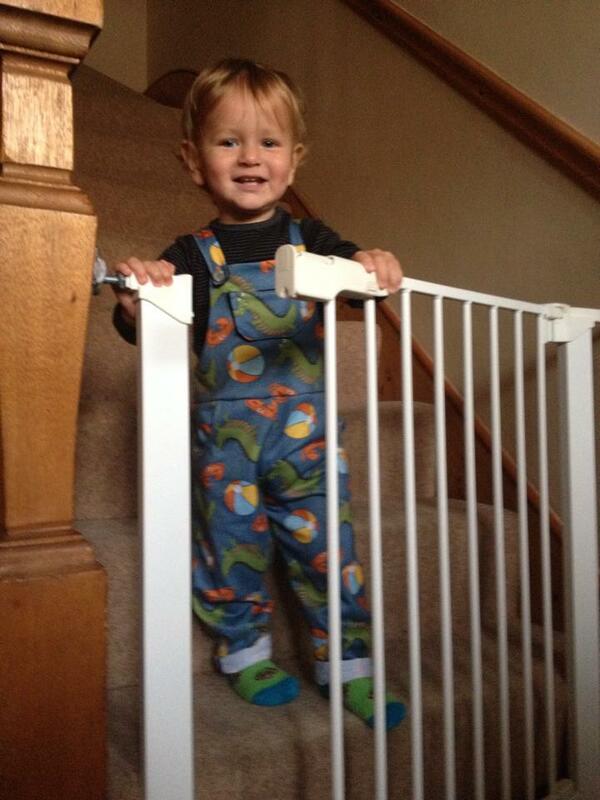 When I have children they will live in dungarees. 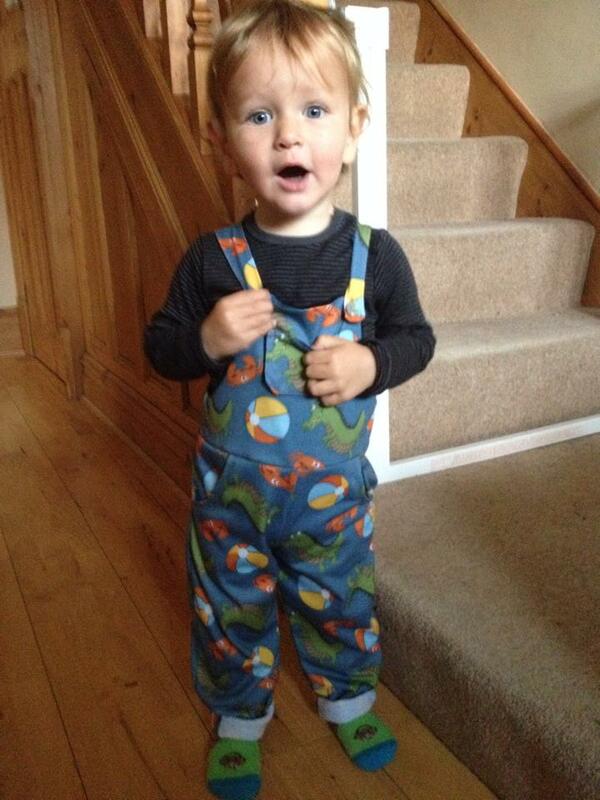 I wish I could live in dungarees. They are the finest item of clothing known to humanity. One day, when I learn how to grade up this pattern for two year olds into adult sizes I will be the happiest woman alive. So will all my friends who saw these and demanded their own pair. 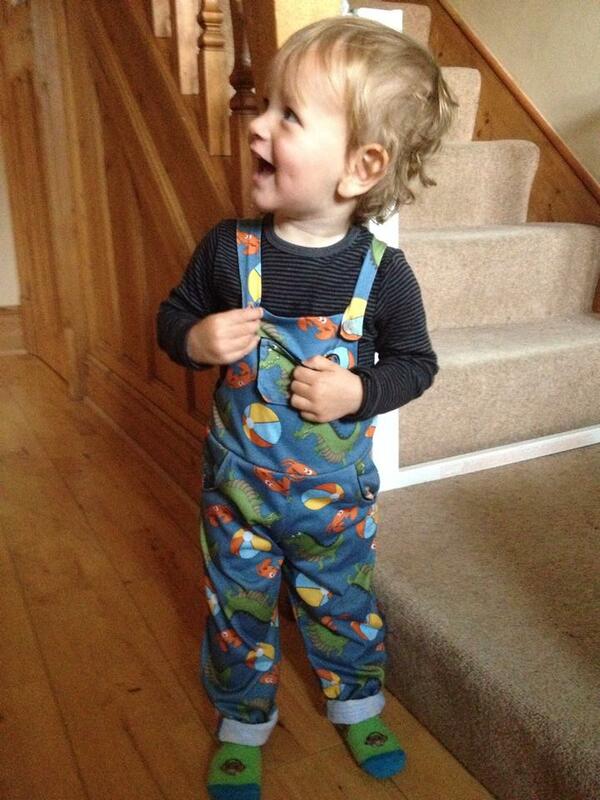 For now though, I will content myself with making awesome dungarees for children. The pattern was a freebie from the wonderful Toya. 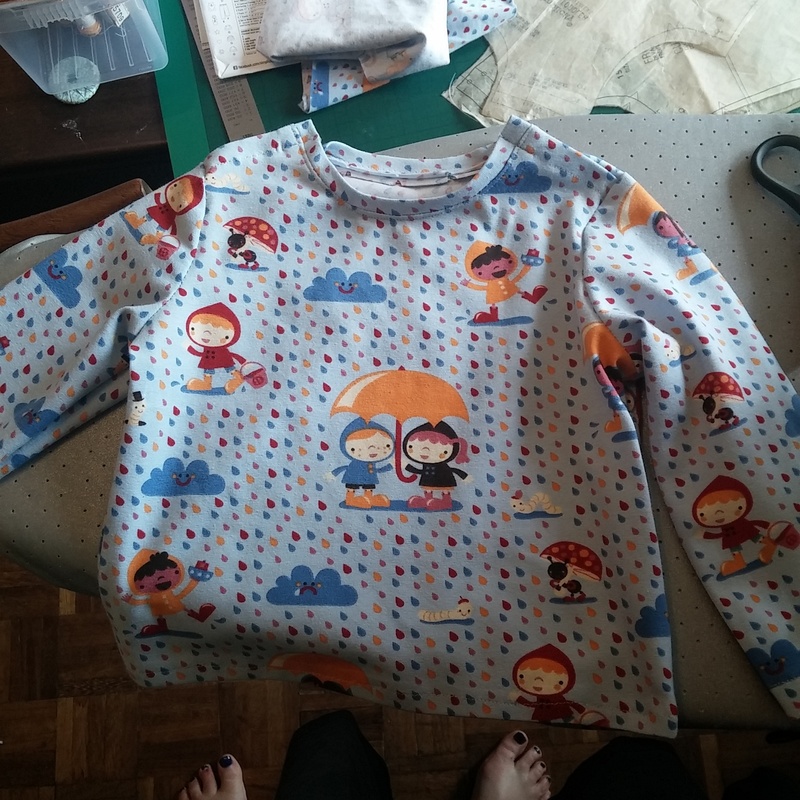 This pattern is so good, and so clear I could not believe it was free and I am so so grateful that the free pattern came in pretty much exactly the right size for the two boys of friends that I was sewing for. It’s brilliant. Toya is a genius and her daughter is the cutest thing alive. Apart from these boys. The pattern is for two year olds and the boys I was making for are both 18 months. Conveniently they are quite big for their age and I forgot to add any seam allowance onto the pattern so it fits perfectly! 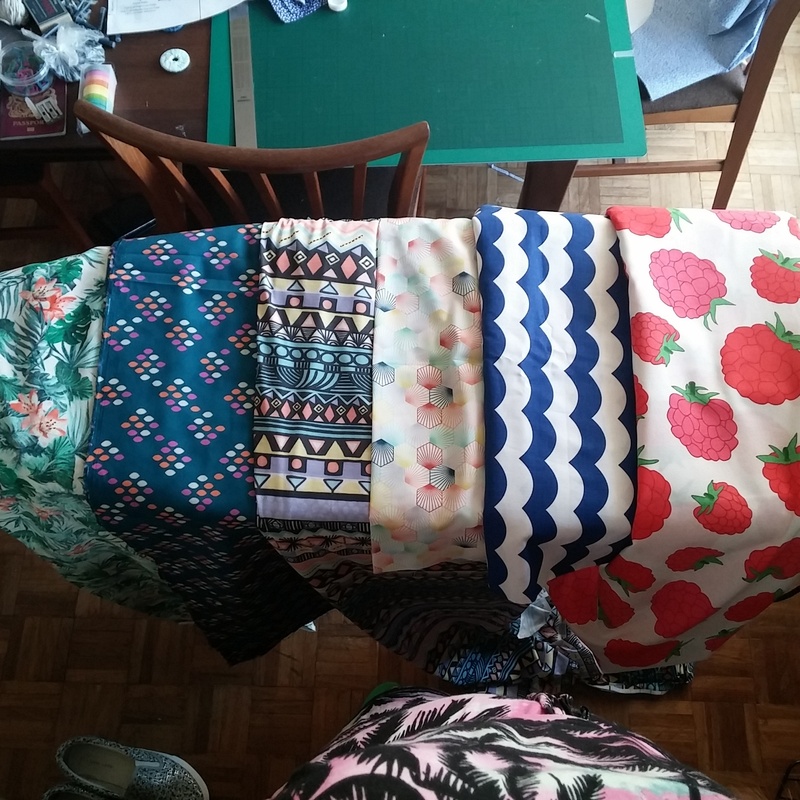 Being a plus size sewist who has to regularly struggle to fit her pattern pieces onto a table, sewing these tiny miniature pieces was such a joy. 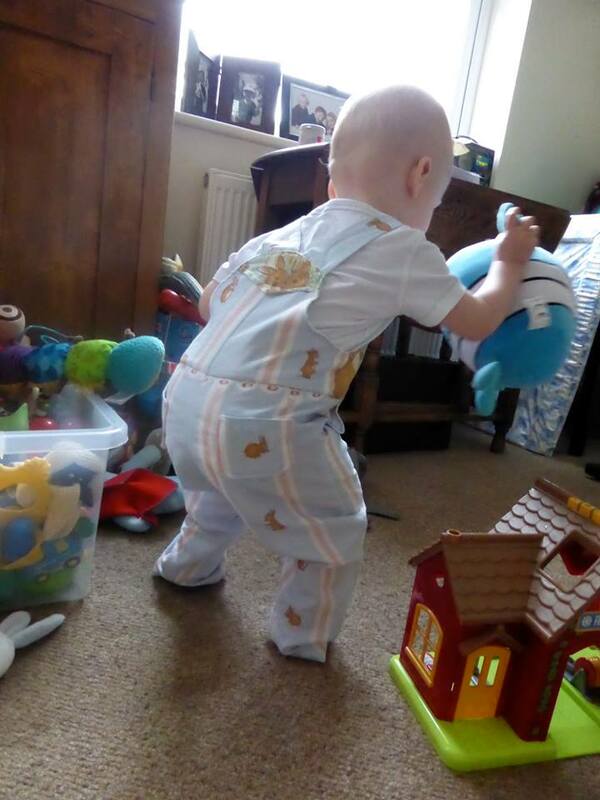 I laughed out loud at the size of the tiny bum pockets and cooed and aahed at the tiny measurements of my ‘models’. These boys have 50CM chests, and I have a 50INCH one. LOLZ! 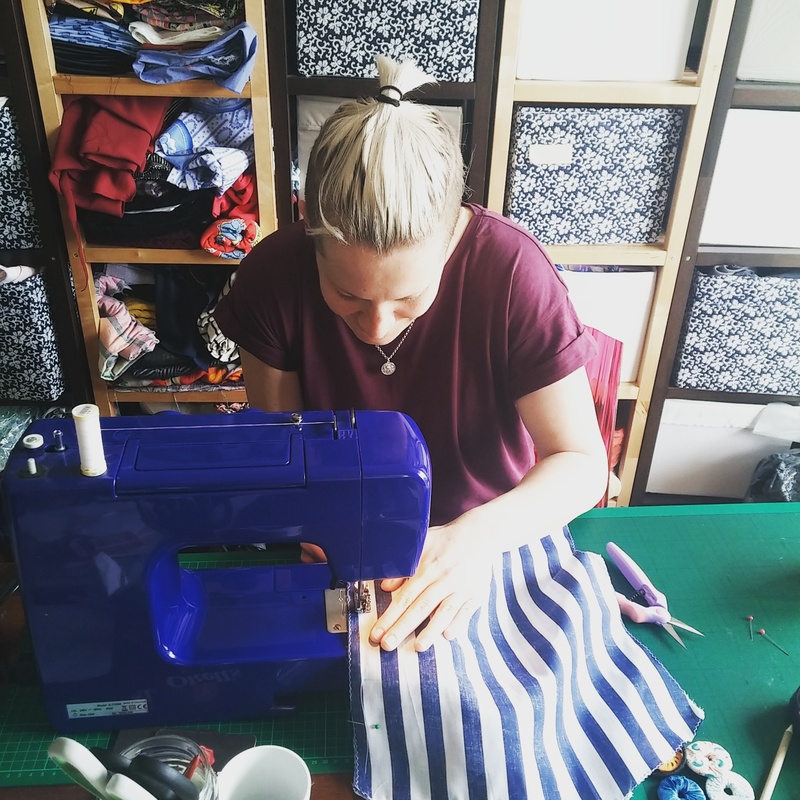 Sewing for kids is a real joy. 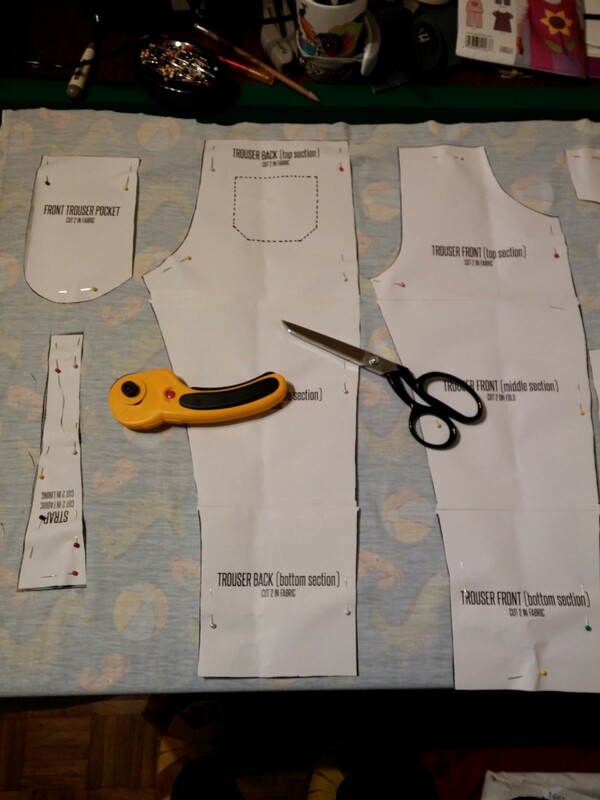 Things come together really quickly, cutting out is a breeze and you use a lot less thread and barely any fabric (less than a metre for each pair of dungarees). And the final product is too cute for words. 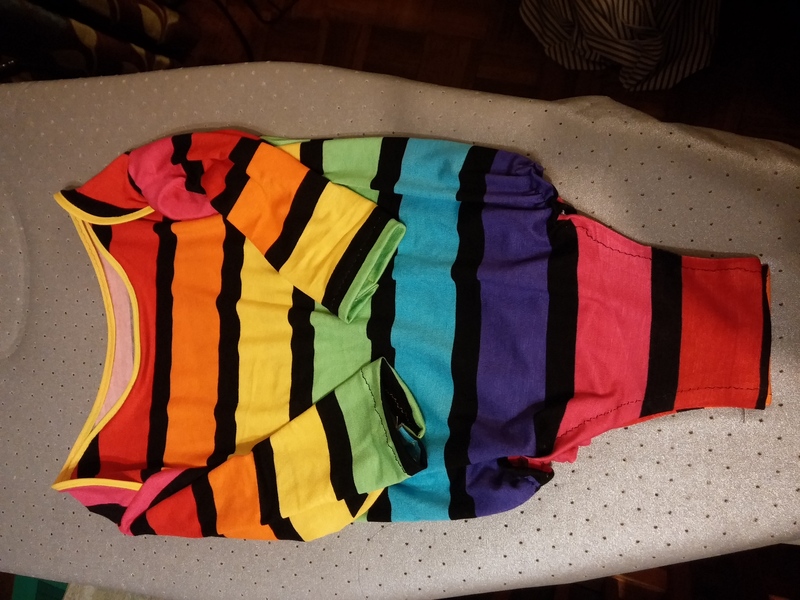 I think I will be making a lot more kids clothes for anyone I even vaguely know who has a child because it is so fun, and ideal for doing on a quiet evening where you can’t be bothered to start a big project but want to sew and want instant results. 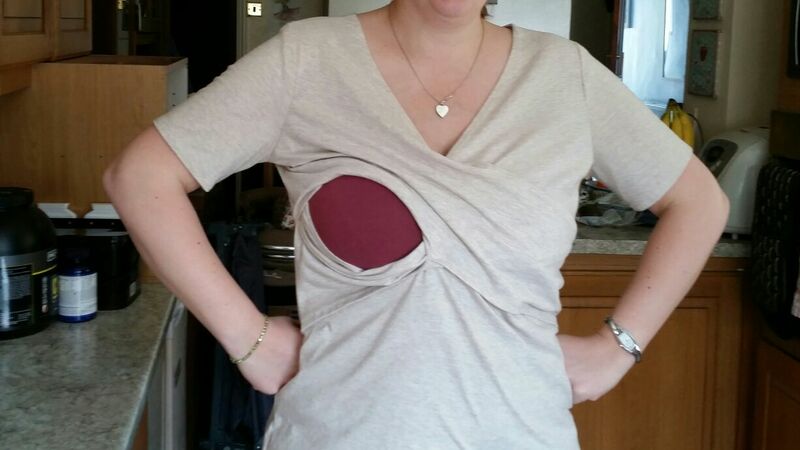 Two pins for the pockets! 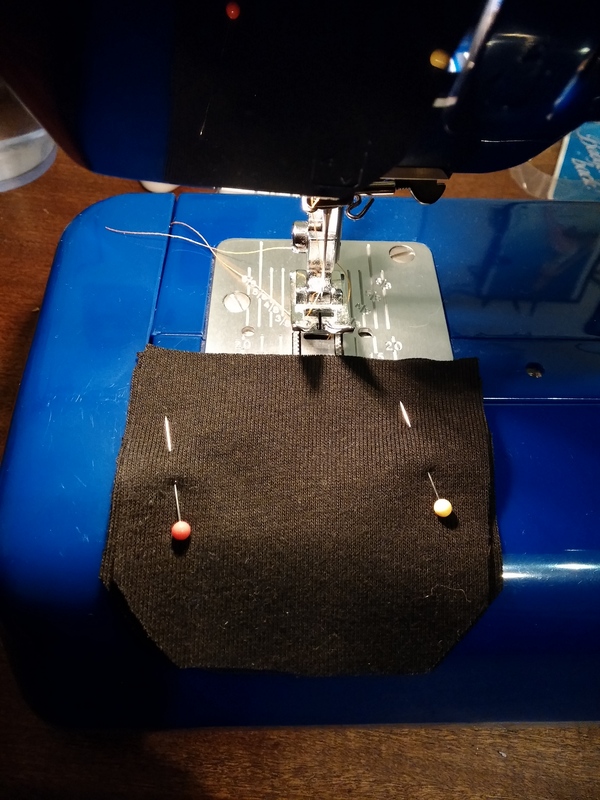 The only slight downside of sewing for other people’s kids is that I feel uber responsible about making sure the clothes are ‘safe’ so got a bit cautious and nervous when sewing the buttons on to make sure that they will not come off and get swallowed. I doubt a tank could rip them off! Though I used the same pattern for both pairs, the results are very different. 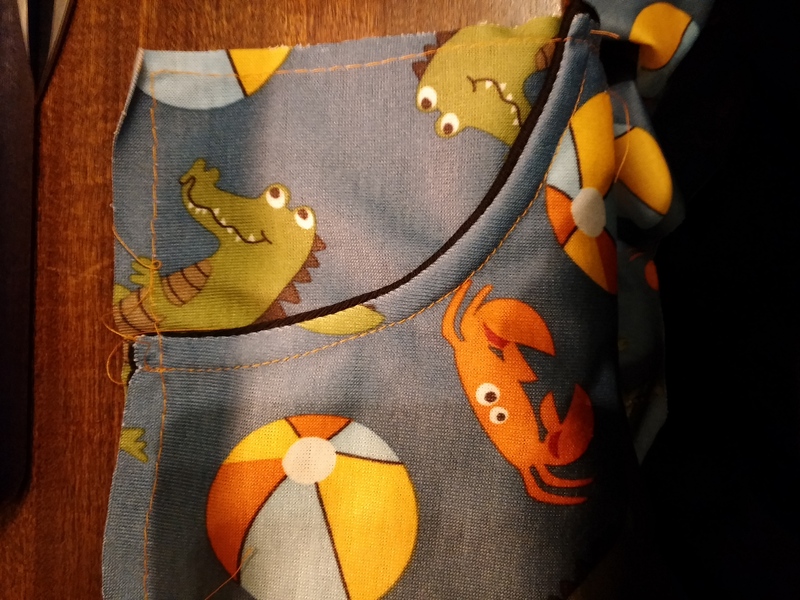 For the first pair I used an excellent solid ‘Crocodiles Balls and Crabs 100% Polyester Jersey’ from Oh So Crafty with a soft black ribbed jersey lining. There wasn’t much fabric left and so the bunnies and stripes on the legs are a bit off kilter, but I don’t think it matters. 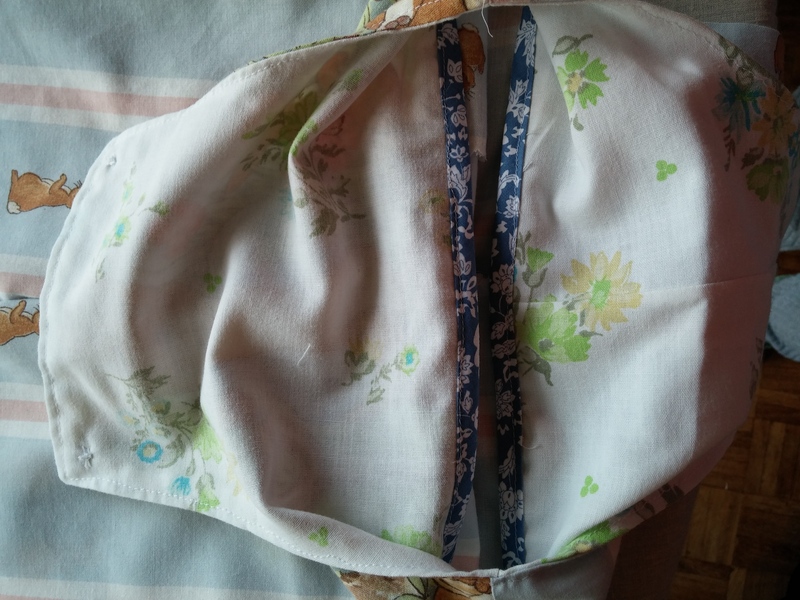 The lining was made from an old bed sheet finished with some nice bias binding. I was quite pleased with how posh they looked! 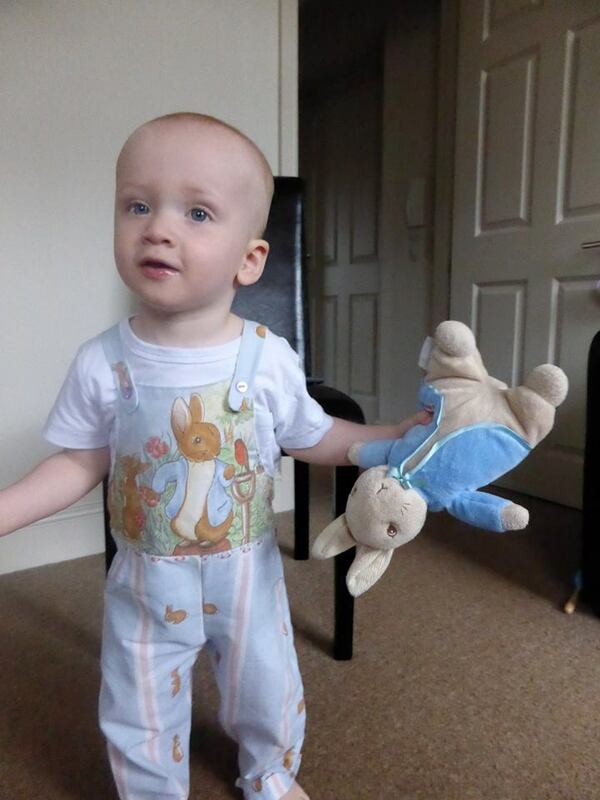 Both parents and boys seem pretty pleased with their new dungarees and it made me super happy to get pictures of the little lads looking so dapper in them. I’ll leave you with a few more just to demonstrate they they seem to be fairly robust and can stand up to all the scamperings of very cute small people. 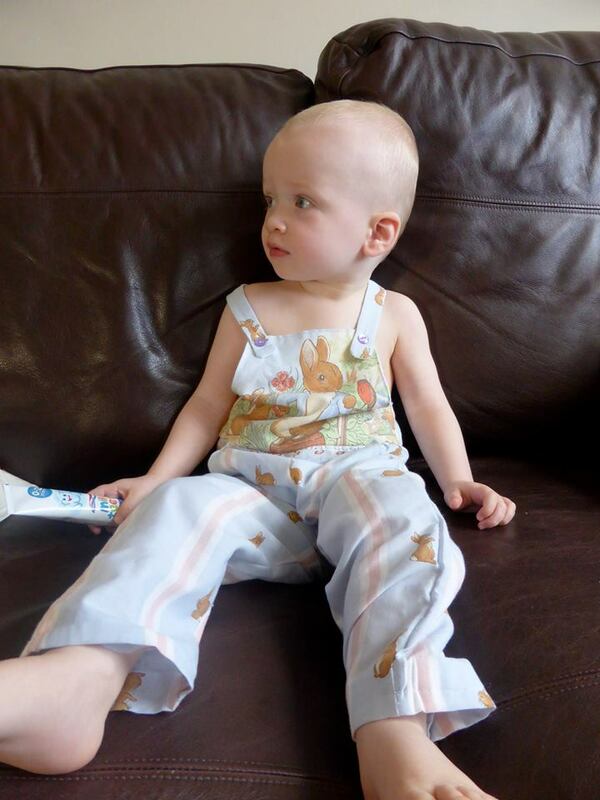 Also, to demonstrate that a boy can look FIERCE in Peter Rabbit dungarees and a tube of toothpaste…..